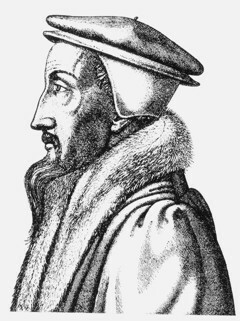 John Calvin of course was one of the principal leaders of the reformation in the 1500’s. Calvin got many things right and, like everyone, many things wrong. In the protestant church in general and in the more reformed branch of modern evangelicalism in particular we benefit from his insights and we have payed and are paying a price for some of his errors. John Calvin wrote a commentary on Genesis – and his commentary I think sheds light on the current science and faith debates in our church. In this chapter, Moses explains, that man, after he had been deceived by Satan revolted from his Maker, became entirely changed and so degenerate, that the image of God, in which he had been formed, was obliterated. He then declares, that the whole world, which had been created for the sake of man, fell together with him from its primary original; and that in this ways much of its native excellence was destroyed. But here many and arduous questions arise. What do you think of this introduction to Gen 3? Calvin’s introduction is a theological statement, and Calvin here, as was his custom, reads the text in the context of his theology. The reading is generally literal, except when it conflicts with his theology (then it is “accommodation”), and he reads between the lines in a fashion consistent with his theology. Calvin’s commentary makes interesting reading. It shows clearly two things – first that most of the difficulties that I have with the text of Gen 3 predate Calvin, they are nothing new – certainly not modern discoveries. He addresses most of them in his commentary, although I find many of his answers less than satisfactory. And second – that Calvin reads his entire gospel message into Gen 3 and Gen 3 through his gospel message. The man and woman disobeyed thereby introducing death, and destruction into the world and changing the very essence of their being and by the way the physics and matter of the world as well, causing the divine wrath of God to be always before their eyes. This disobedience and its consequence was predestined from the very beginning. Evil existed before the world was created dating from the fall of Satan and we do not and need not know these details. The covenant with Israel – preparatory for the coming of Christ. God sent his Son Jesus to bear the punishment for our sin rooted in Adam’s sin. This also was predetermined from the outset. With the resurrection God is victorious. Men may be restored to life through the resurrection. Perhaps the key question then is how much of it did Calvin have right? How does this shape the science and faith discussion? But it appears, perhaps, scarcely consonant with reason, that the serpent only should be here brought forward, all mention of Satan being suppressed. I acknowledge, indeed, that from this place alone nothing more can be collected than that men were deceived by the serpent. … Add to this, the baseness of human ingratitude is more clearly hence perceived, that when Adam and Eve knew that all animals were given, by the hand of God, into subjection to them, they yet suffered themselves to be led away by one of their own slaves into rebellion against God. … What can be imagined more dishonorable than this extreme depravity? Thus, I understand the name of the serpent, not allegorically, as some foolishly do, but in its genuine sense. … The question, however, is not yet solved, why Moses has kept back the name of Satan. I willingly subscribe to the opinion of those who maintain that the Holy Spirit then purposely used obscure figures, because it was fitting that full and clear light should be reserved for the kingdom of Christ. Many persons are surprised that Moses simply, and as if abruptly, relates that men have fallen by the impulse of Satan into eternal destruction, and yet never by a single word explains how the tempter himself had revolted from God. … But Moses here passes over Satan’s fall, because his object is briefly to narrate the corruption of human nature; to teach us that Adam was not created to those multiplied miseries under which all his posterity suffer, but that he fell into them by his own fault. It offends the ears of some, when it is said God willed this fall; but what else, I pray, is the permission of Him, who has the power of preventing, and in whose hand the whole matter is placed, but his will? … I hold it as a settled axiom, that nothing is more unsuitable to the character of God than for us to say that man was created by Him for the purpose of being placed in a condition of suspense and doubt; wherefore I conclude, that, as it became the Creator, he had before determined with himself what should be man’s future condition. On the temptation of Eve – Eve fell when she listened to the snake. The nature of the sin – part of this we see above, they listened to the snake. What was the sin of both of them? … Therefore, unbelief was the root of defection; just as faith alone unites us to God. Hence flowed ambition and pride, so that the woman first, and then her husband, desired to exalt themselves against God. … Here also monstrous ingratitude betrays itself. They had been made in the likeness of God; but this seems a small thing unless equality be added. After he has briefly spoken of Adam’s sin, he announces that the earth would be cursed for his sake. … the earth was cursed on account of Adam. … The Lord, however, determined that his anger should like a deluge, overflow all parts of the earth, that wherever man might look, the atrocity of his sin should meet his eyes. Before the fall, the state of the world was a most fair and delightful mirror of the divine favor and paternal indulgence towards man. Now, in all the elements we perceive that we are cursed. Truly God pronounces, as from his judgment-seat, that the life of man shall henceforth be miserable, because Adam had proved himself unworthy of that tranquil, happy and joyful state for which he had been created. Moreover, Moses does not enumerate all the disadvantages in which man, by sin, has involved himself; for it appears that all the evils of the present life, which experience proves to be innumerable, have proceeded from the same fountain. The inclemency of the air, frost, thunders, unseasonable rains, drought, hail, and whatever is disorderly in the world, are the fruits of sin. Nor is there any other primary cause of diseases. Now, however, after he had been despoiled of his divine and heavenly excellence, what remains but that by his very departure out of life, he should recognize himself to be earth? Hence it is that we dread death, because dissolution, which is contrary to nature, cannot naturally be desired. Truly the first man would have passed to a better life, had he remained upright; but there would have been no separation of the soul from the body, no corruption, no kind of destruction, and, in short, no violent change. Reference to Christ is spread throughout Calvin’s discussion. Everything is tied to the restoration of life in Christ. God’s preordained solution to the predestined problem. And now , lest , etc . There is a defect in the sentence which I think ought to be thus supplied: ‘It now remains that in future, he be debarred from the fruit of the tree of life;’ for by these words Adam is admonished that the punishment to which he is consigned shall not be that of a moment, or of a few days, but that he shall always be an exile from a happy life. … not that the Lord would cut him off from all hope of salvation, but, by taking away what he had given, would cause man to seek new assistance elsewhere. Now, there remained an expiation in sacrifices, which might restore him to the life he had lost. Previously, direct communication with God was the source of life to Adam; but, from the moment in which he became alienated from God, it was necessary that he should recover life by the death of Christ, by whose life he then lived. If you wish to comment please see Jesus Creed. 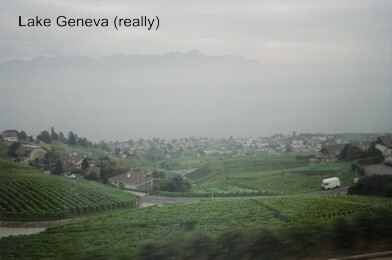 This entry was posted in Creation, Genesis and tagged John Calvin. Bookmark the permalink.